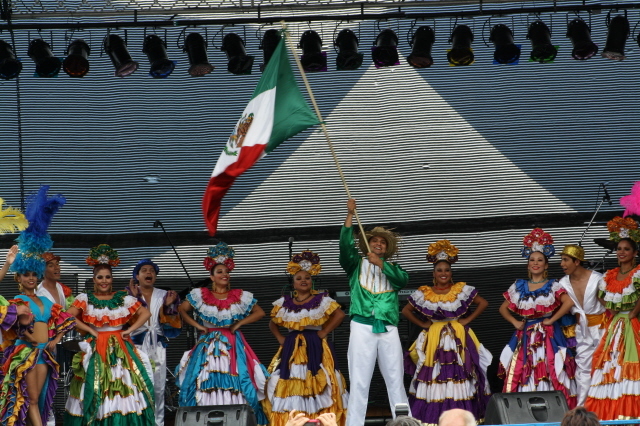 The Mexico Independence Fiesta, a part of Mexico Fest, took place on Saturday September 11th at Thurlow Plaza and featured Mazatlan. As the rain fell on the dramatic stage framed by the North Shore Mountains, the event inspired nostalgia in Snow Birds and Mexican-Canadians alike. 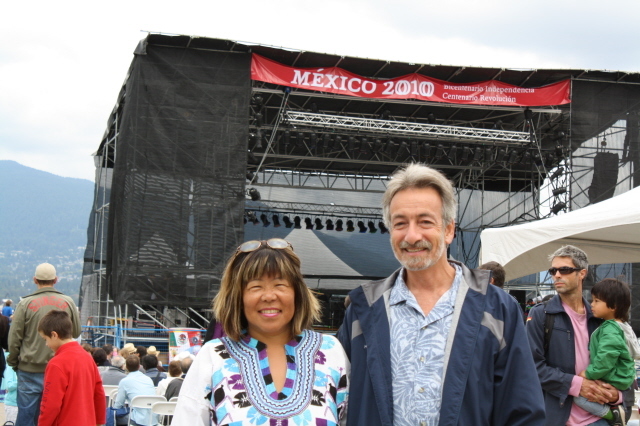 Michael Peligal and Helen Wong started going to Mazatlan thirty years ago. 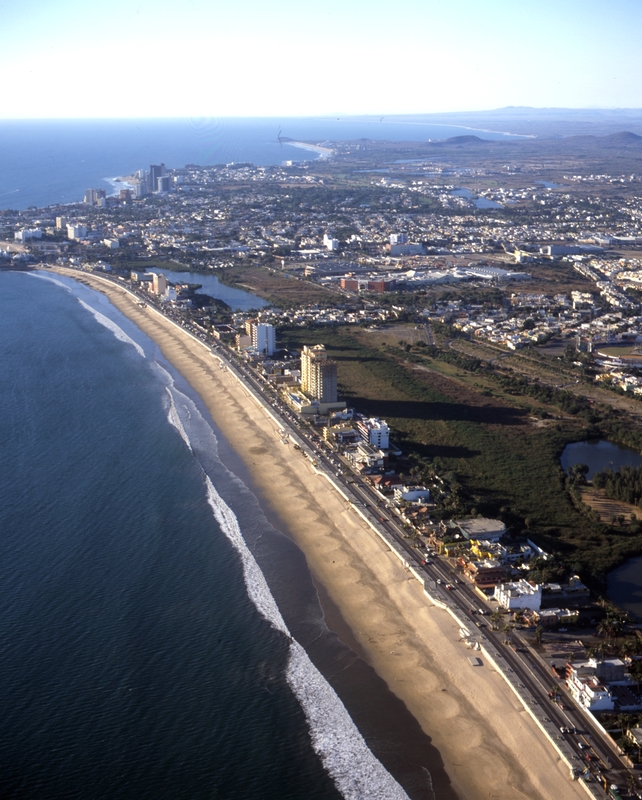 They returned to Mazatlan year after year as they became close friends with many locals. Now they own a place in Mazatlan. 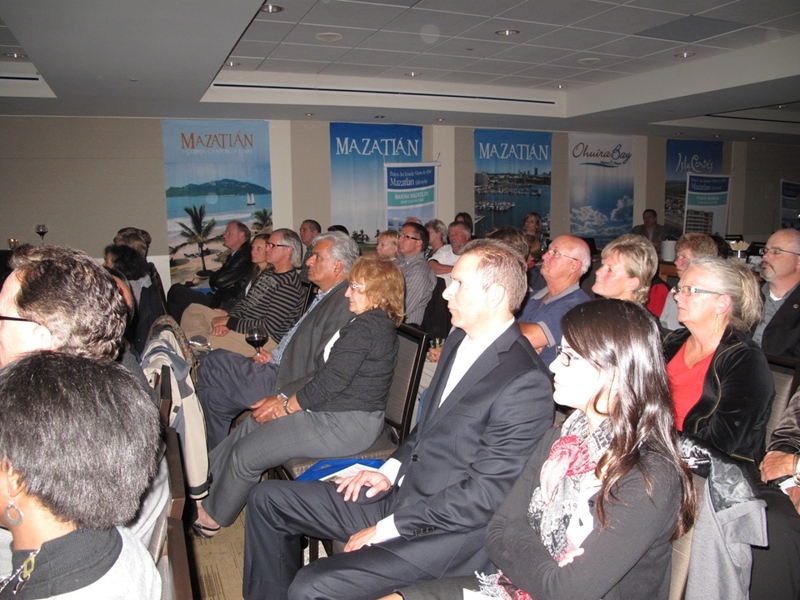 Michael and Helen stay informed about Mazatlan while they are in Vancouver. They participate in events Mexico organizes on the Lower Mainland and they are not alone. 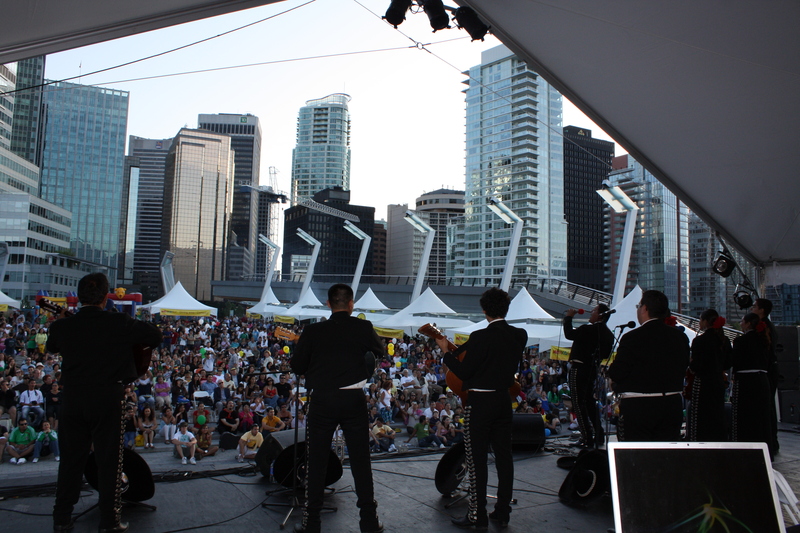 Thousands of Vancouverites flocked to the Fiesta and many donned traditional Mexican embroidered clothing and sombreros. Partygoers braved the evening rain to sing the Canadian and Mexican national anthems as both countries’ flags stood side by side on the main stage. The crowd sang, danced, ate and cheered as anyone would at a good Mexican fiesta. Celebrating at Thurlow Plaza in Vancouver, B.C. Categories: New Media, Public Relations, Tourism | Tags: BC, Canada, event coordination, event management, Helen Wong, Mazatlán, Mexico, Mexico Fest, Michael Peligal, North Shore Mountains, Sinaloa, vancouver | Permalink.